Boys’ fashion is something that isn’t always easy to get right – there are an awful lot of logo tees, dark colours, and naff slogans around. So when I find outfits that I really like for my toddler and pre-schooler I like to share them to give a bit of hope that there’s more out there than Paw Patrol and “boys will be boys”. 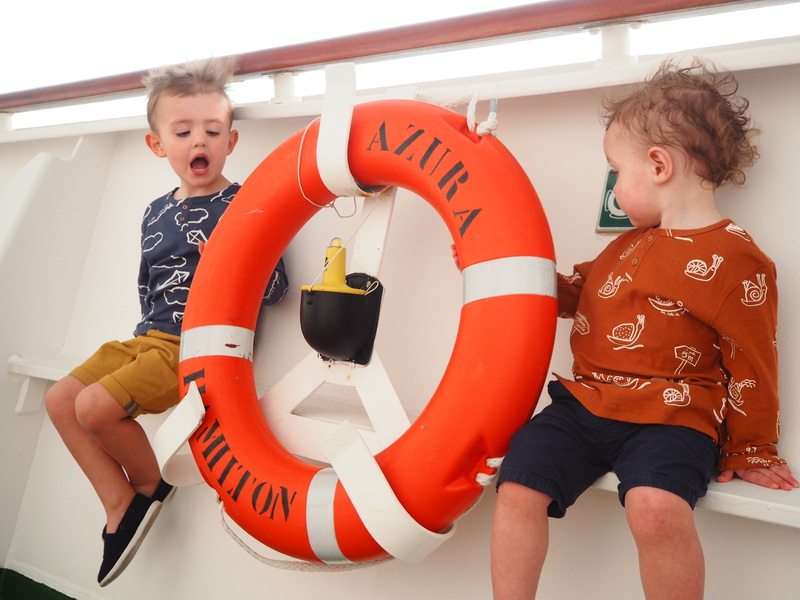 Since I discovered the children’s range at Zara it’s been my first port of call for boys’ clothes, and when I was holiday shopping it didn’t disappoint. I picked up a fair few t-shirts for our oldest son, who’s nearly four, as they’re such good value and he seemed to suddenly grow out of all last year’s tops. While I was scrolling through the website, I spotted a long sleeved top with the most amazing snail print, and knew I had to buy it for our youngest son (nearly two). I loved the orangey colour, and thought the snails were cute, but quirky enough not to be babyish. It went straight in my basket! I love the loose fit, and it was cool enough for evenings on our cruise. 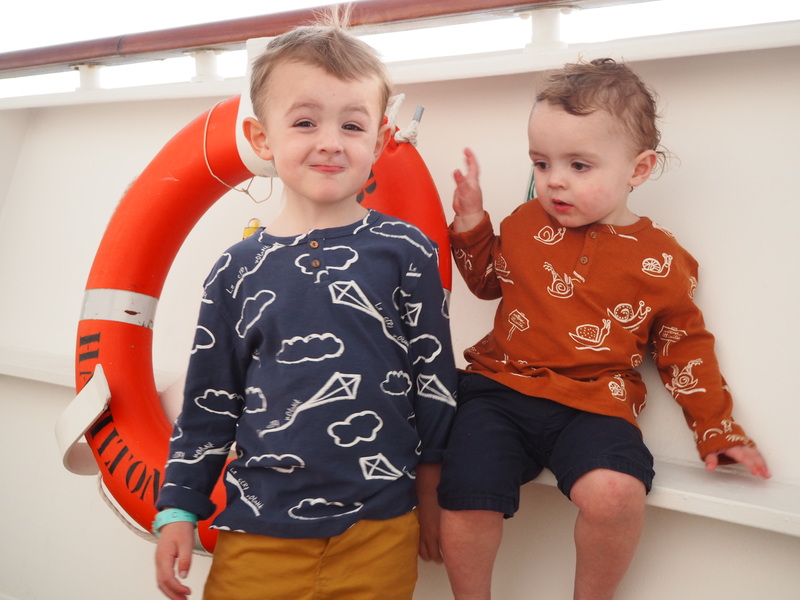 If you’ve been reading my blog for a while, you’ll know that I’m a fan of dressing our boys in similar clothes, but not matching them completely (that would just be too much for me). I like there to be a bit of a theme in what they’re wearing, and for either the colours or the designs to go together. Luckily, this top came in three prints – the snails, red with lions, and navy with kites. The red and orange would have clashed, so I popped one of the kite tops in my basket in age 3-4 for our biggest boy. Bizarrely, the 18-24 month also fits him … I think once they’re past a certain age it’s one size fits all! One of the things I really like about a cruise is the chance to get a bit dressed up in the evening. There are casual nights and formal nights, but even on the casual nights you need to make a bit of an effort. 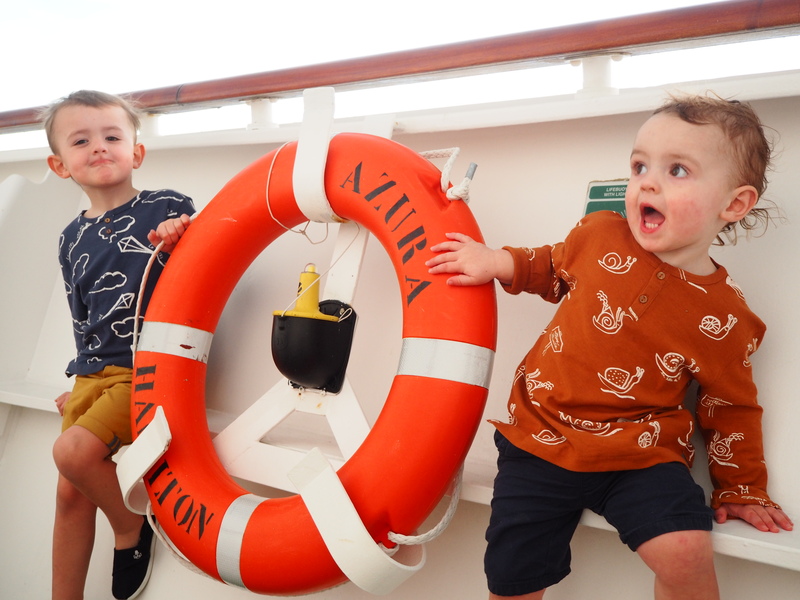 I stocked up on some chino shorts for the boys, which they wore with their Zara tops and with shirts on the black tie evenings. For our biggest boy, I picked up a pair of mustard shorts from Primark with a turn-up detail, which I think were £3 or £4. Our youngest is wearing a navy version from Blue Zoo at Debenhams. I would have stuck him in a Primark pair too, but as these were hand-me-downs from his big brother we didn’t have to fork out twice. I’d popped to Matalan for the first time ever the week before we went away, and bought a lovely pair of boat shoes for the biggest boy. They’re navy, with a velcro pull-over strap and a little white anchor on one side. 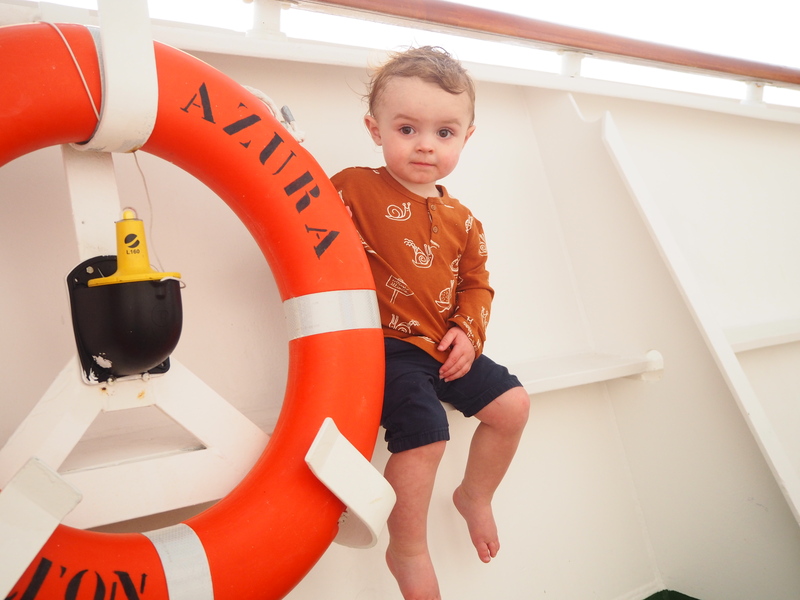 The littlest had navy shoes from Asda with whales on, but refused to wear anything on his feet for the two weeks we were on the ship! What can I say? He was in holiday mode. 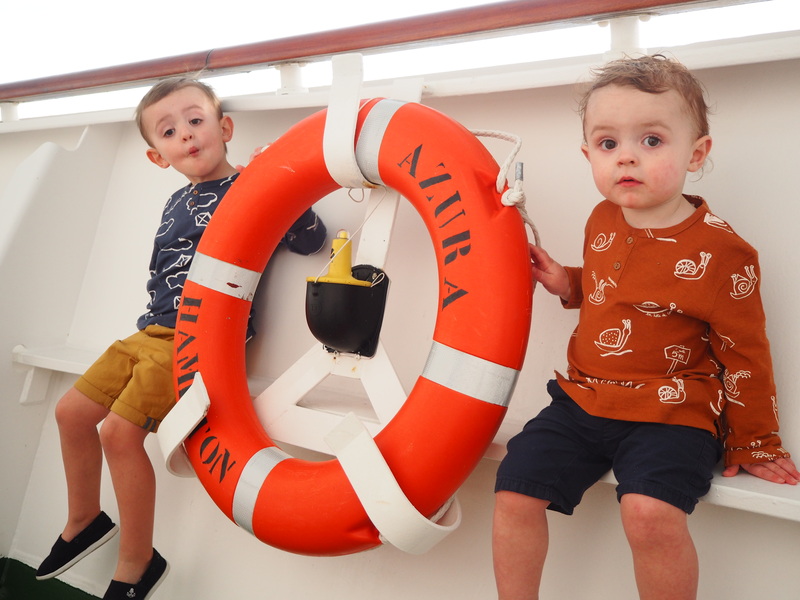 I love these pics that I took of the two of them with a life ring – they sum up their daft personalities perfectly!